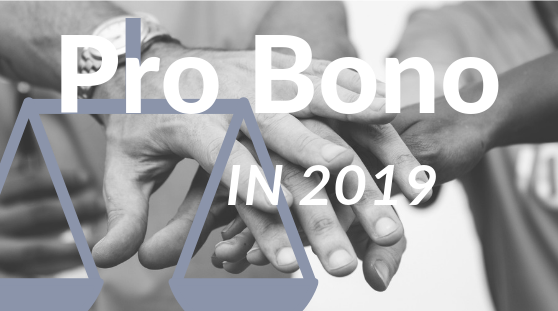 If your 2019 to-do list includes a plan to log a few more hours of pro bono, the VSB is here to help. Register for the Virginia Poverty Law Center’s eviction defense CLE on Jan. 7, which will train you for their eviction helpline launching soon. Register or sign in at Virginia Free Legal Answers and start answering people’s questions today from the comfort of your own home. Find your local qualified legal services provider and get in touch: sign up for their newsletter, fill out a form for attorney volunteers, donate what you can. Like the Access to Legal Services Facebook page to stay abreast of pro bono trainings, events, and service opportunities. Register for Virginia CLE’s pro bono portal to get access to classes and supplemental materials available for the pro bono work you’re doing. Learn more on our pro bono / access to legal services page.